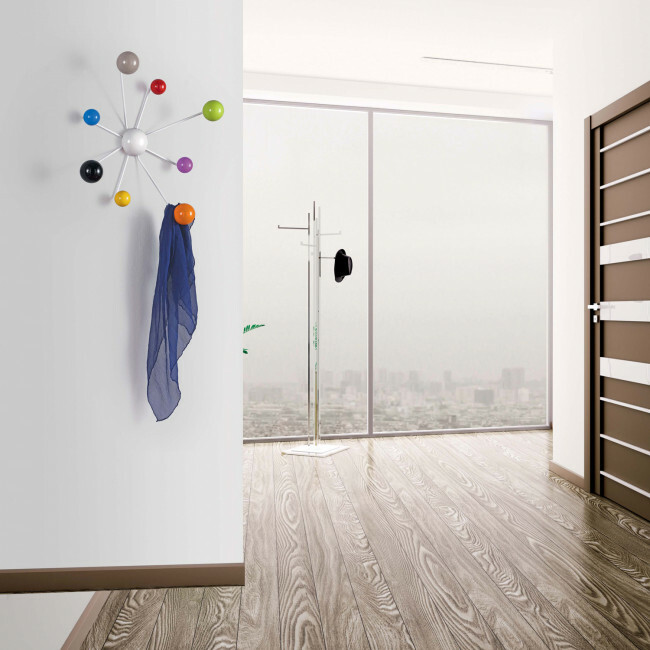 Globo is a coat hanger with coloured hooks ideal for the doorway, the children's bedroom or the bathroom. The central knob is fastened to the wall and from its structure 8 thin sticks in different length come out, each one with a hook. 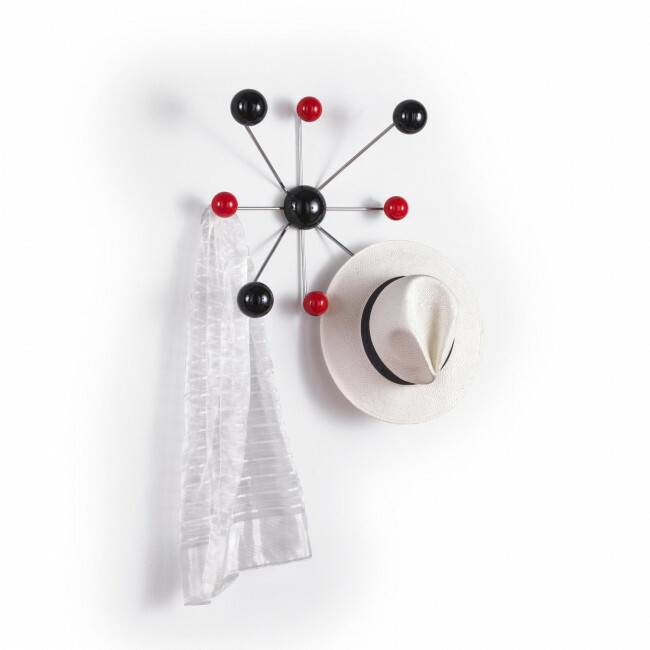 A thin and light structure in painted metal is combined with resistant and coloured glossy lacquered knobs with different diameter. 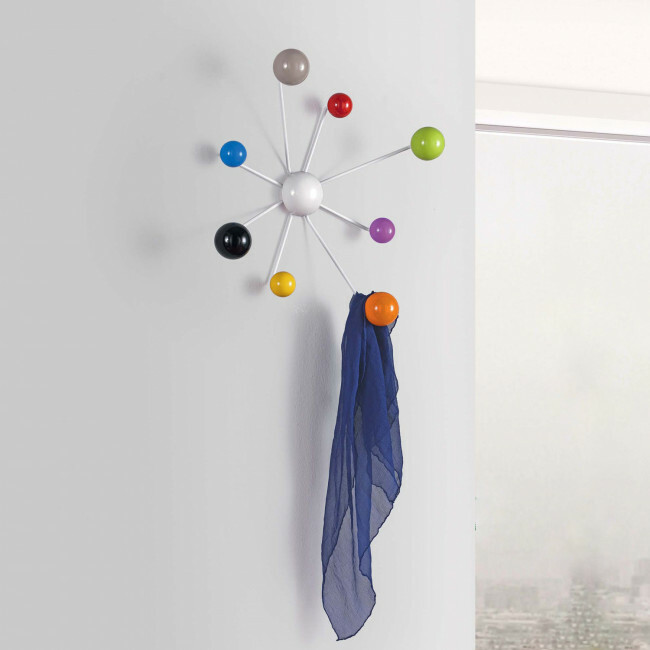 It is possible to create the coat hanger in one colour, two colours or multicolour: the hooks can all have the same colour shade, they can alternate two different nuances or every hook can have a different colour, creating in this way a particular kind of rainbow. Structure: chromed or white painted metal. 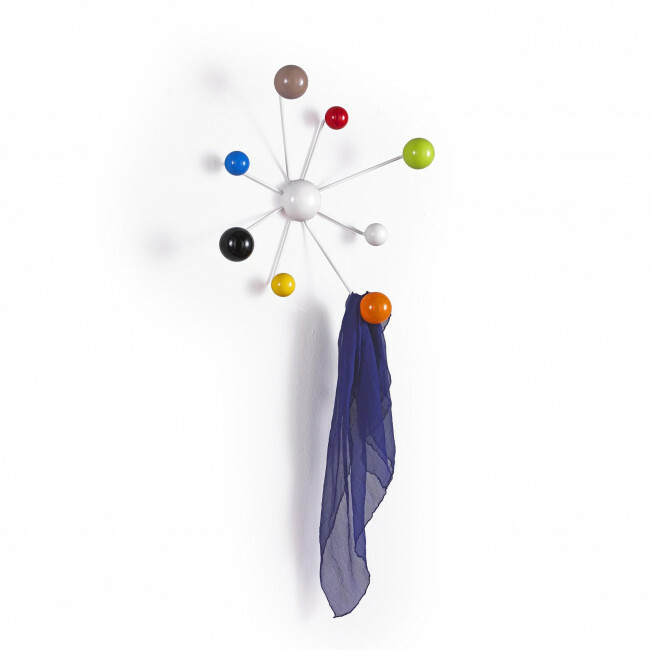 Globo is a coloured coat hook belonging to the coat rack collection.